The roll out of this feature means that you will no longer have to look at your phone for these types of notifications (although you’ll still get them there too). You can work away on what you are doing on your laptop and get the notification in Chrome for Windows, Chrome for Mac or Chrome OS without having to switch devices but also assure you don’t miss the appointment. 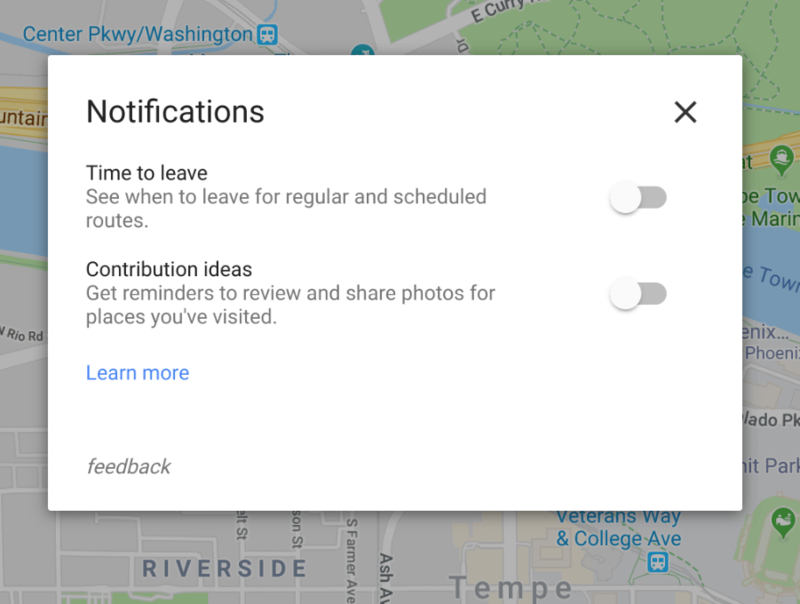 If you are wanting to enable the feature, just open up Google Maps in Chrome, go to the menu then to Notifications and you can turn on the Time to leave notification. You can also see from the screenshot above that there is a contribution notification to remind you to contribute your review, photos and thoughts on places you visit.